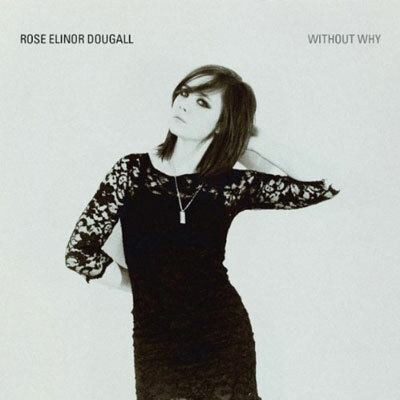 Rose Elinor Dougall’s new album Without Why is a gem. I enthusiastically recommend it for fans of genteel Anglo-pop that can be traced along a long and winding road from the Zombies to Belle & Sebastian. To their great credit, Dougall and her cracking band incorporate a few unexpected elements along the way as well—the insistent jangle and defeated humor of the Smiths, the wistful ache of Saint Etienne, and a tasteful nod to the British neo-soul that’s topped the charts in recent years. I’ll start with the last point in elaborating on my newfound love for Ms. Dougall. Before her solo turn, she was best known as a member of the Pipettes, whom I had always perceived as a gimmicky girl-group throwback, capable of catchy Motown and doo wop knock-offs but short on authenticity. I’ll confess that that’s how I hear just about all of the British neo-soul stuff—Amy Winehouse, Adele, and the like. So when Rose Elinor Dougall struck out on her own a year or so ago, it barely registered with me. So it remained until I heard her contributions to Mark Ronson’s 2010 album Record Collection, which has quickly become one of my favorites of the year. It’s true that the producer Ronson is partially responsible for the neo-soul revival through his work with Winehouse and others. But thankfully, Ronson branches out fabulously on Record Collection, seamlessly incorporating 80s synth textures and a stellar roster of guest rappers and singers. None is employed more effectively than Rose Elinor Dougall, who sings on “You Gave Me Nothing,” “Hey Boy,” and “The Night Last Night.” Dougall’s vocals are incredibly striking—she conveys both toughness and vulnerability and, to link back the title of this post, both grit and grace. And my cerebral faculties are corroded. But darling there’s just not much left of it. Of the things you said I am. You are going to find me out. “Find Me Out” and many other songs on Without Why provide clear evidence that Rose Elinor Dougall knows the human heart better than most as a lyricist. The songs are impeccably composed as well. Highlights include the powerful drive of “Carry On” and the soaring, Johnny Marr-esque jangle of “Come Away With Me” and “To the Sea.” Each of these songs, and a few more, boast undeniable hooks that might well embed themselves in your head after just a couple of listens. In sum, Rose Elinor Dougall’s departure from the Pipettes could be called one of the best things to happen to pop music in years. She excels as a singer, a lyricist, and a songwriter, and Without Why is one of my favorite albums of 2010.
easily one of my favourite albums of the year too, but yet not available to buy anywhere over here (apart from iTunes). Thanks for the comment, Jean. Not sure where you are, but for me here in the States, Without Why was an eMusic find. Since you’ve also seen it on iTunes, perhaps this is an instance of the digital release preceding the CD/LP street date? Not sure on that question. At any rate, I’m glad we agree that the album is not to be missed!